LIFE ISN'T ALL RAINBOWS AND BUTTERFLIES FOR SHANLEE JOHNSON. IT'S ALSO ALPACAS, HEDGEHOGS, AND FLOWERS. Preparation preceded the pineapples, of course. Growing up in Memphis, Shanlee started designing—or rather, redesigning—her own clothes at an early age. Shanlee moved to New York City after high school and followed suit, studying women’s tailoring at The Fashion Institute of Technology. 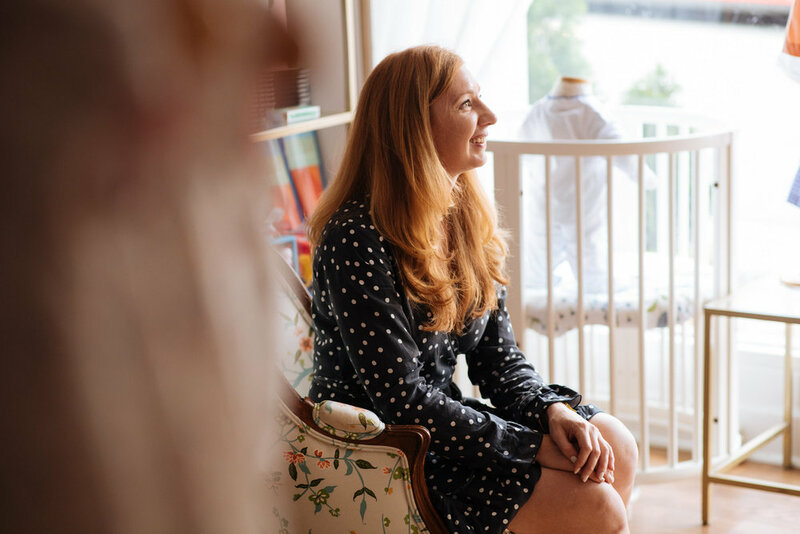 She worked for Tory Burch, Catherine Malandrino, and Scoop—moving to DC nearly eight years ago. 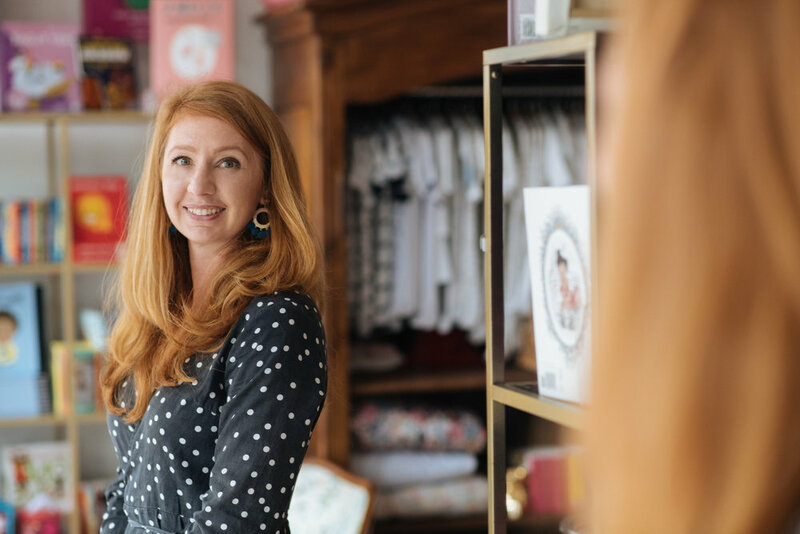 Each career move provided an education in everything from lifestyle, to customer service, branding and buying, but Shanlee’s lifelong dream was to open her own store and clothing line. So Little Birdies was born. 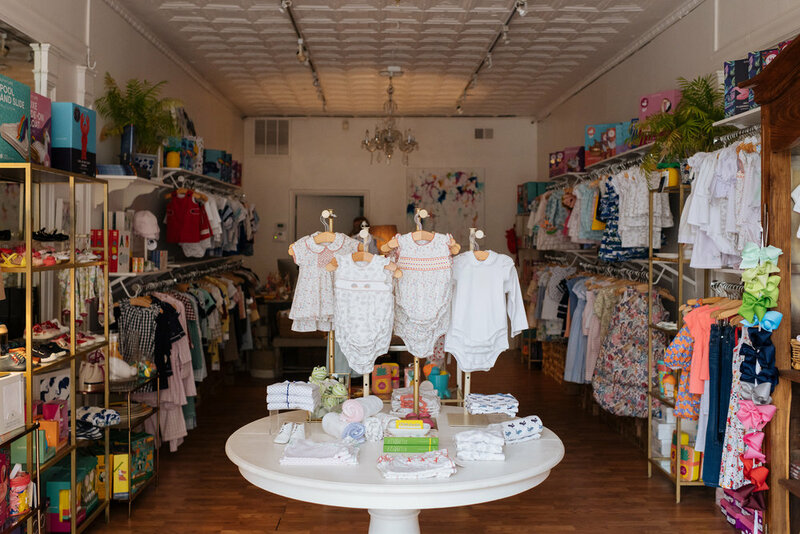 As word-of-mouth grows, Little Birdies has become one of the go-to boutiques for Washington’s best-dressed children. This year, Shanlee introduced her own southern-inspired line, Pineapple Sunshine. She says designing children’s clothing requires the same technical basics of women’s tailoring—but more fun. Pineapple Sunshine has quickly become one of the most sought-after brands in the store—focusing on more traditional children’s wear in an age when many parents are drawn to baby leather jackets and sparkly tops. For a dose of that traditional ‘East Coast nautical’ look, many of Shanlee’s customers come from New York. One regular drops by monthly to pick up his wife’s wish list while he’s in town on business. Georgetown residents also make up a sizeable portion of sales, as well as aunts, grandparents, and friends looking for a baby gift. All seem drawn, in particular, to Pineapple Sunshine’s fun, happy, and sweet designs—inspired by Shanlee’s own childlike interests. Thanks to a recent trip to Peru, it’s currently baby alpacas. It takes three to four months to manufacture Shanlee’s pieces, supplemented by other clothing lines that she discovers through Instagram, buying trips to New York, and cute babies on the street. The biggest challenge is finding items that aren’t in every other store. Moving forward, Shanlee has her sights set on additional boutique spaces in New York and Nantucket—the latter where half of her local customers own second homes. Her Pineapple Sunshine collection is in six stores (and counting) nationwide. Sweetest of all, it’s on her niece.